Written in cooperation with Hipmunk’s Boutique Hotels campaign. The Hawaiian Islands have long been considered paradise. After all, this is the place to enjoy lovely temperatures, stunning beaches, aquamarine water, and tropical drinks, all without a passport. Paradise often comes with a price tag, but Hipmunk offers a multitude of reasonably priced accommodation options, making paradise available for everyone. Each Hawaiian island offers something different. From Oahu’s cityscape and amazing beaches to Kona’s black volcanic sand to Maui’s powder-white sand and world-class snorkeling, this exotic state offers something for everyone. To make the most of paradise on a budget, check out the Aqua Aloha Surf Waikiki. This budget-friendly hotel offers up kitchenettes, laundry services, and a poolside barbecue area, all while keeping your expenses in check. The property features a pool, a fitness center, spa services, a restaurant, and free breakfast, allowing you to save your entertainment dollars for sightseeing and nights out on the town. Another affordable option is the Maile Sky Court Hotel. Located near all the preferred sights in Waikiki, this hotel has comfortable rooms with refrigerators, along with free Wi-Fi, a pool, a restaurant, and a fitness center. A short walk takes you to all the excitement in one of the most scenic cities in the world. For guests who want a bit more of a splurge, the Hawaii Prince Hotel Waikiki is an excellent choice. The rooms offer stunning city views, refrigerators, robes and slippers, and even in-room massage services for an extra charge. This hotel has free Wi-Fi, a pool and fitness area, and an on-site restaurant. It’s also well-known for its soothing spa treatments. 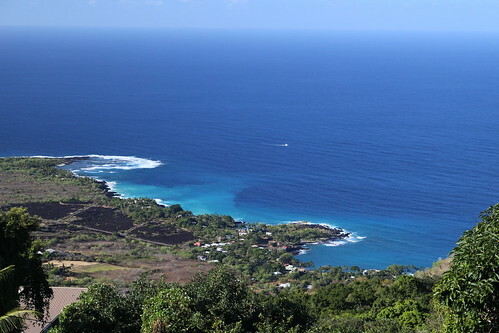 The island of Kona is unique in that it has an active volcano at its center. Rather than the soft, white sand of the other islands, Kona has black sand resulting from thousands of years of volcanic activity. To visit this amazing paradise for yourself, look into the Kona Seaside Hotel. One of the most affordable hotels on the island, it offers a pool and rooms overlooking the sea. Rooms are bright and comfortable, with refrigerators, microwaves, and flat-screen TVs. Enjoy the pool and fitness area and the free Wi-Fi and breakfast to stretch your vacation dollars even further. Location, location, location. For a holiday set next to a gorgeous tropical beach but still close to shopping and nightlife, the Maui Beach Hotel is a perfect choice in Kahului. Along with its standard rooms and oceanfront suites, the Maui Beach Hotel offers free Wi-Fi, mini fridges, free shuttles, a pool, and a fitness center. The hotel even allows pets, so your furry family members can join you in paradise. Enjoy a rooftop sundeck, on-site breakfast restaurant, and easy access to all that this lovely island has to offer. Whichever Hawaiian island or hotel suits your needs, Hipmunk has the right accommodation choice for you! Hipmunk Hotels: Find Comfort in Wheeling, Newport, Norfolk and More! It’s that time of year to travel and a staycation is a great way to save money, but still have a satisfying trip. If you live in the northeastern part of the states, take a chance on some off-beaten places you might otherwise ignore. They are less busy, have hidden gems, and are usually has something for every family member, children included. West Virginia is a state full of history and natural beauty. Take a stroll through Oglebay Park or get a picture view of the suspension bridge, built in 1849. The most comfortable hotel is SpringHill Suties because it really caters to your needs. With a full service snack bar, indoor pool, spa, and fitness center, it really is a perfect home away from home. Picturesque Rhode Island evokes ocean views and a calmer life (with a dash of luxury thrown in). One of the most beautiful drives you will ever experience is along Ocean Drive. And if you want to fit in a slew of historical sites and buildings, consider taking a historic tour. For cozy accommodations, the Ambassador Inn & Suites will be perfect for you. Savor a free breakfast and use free WiFi to plan your day. After you return from sightseeing, take a dip in the outdoor pool and then sink into your king-sized bed. Just located outside of D.C., Alexandria is a quaint destination with fascinating historic tones. Don’t miss the Christ Church, Carlyle House, and the George Washington Masonic National Memorial. Since you’re taking a walk down history, why not stay at the Melrose Georgetown Hotel. Right in the heart of everything you’d want to be near (including the JFK Center), enjoy fluffy duvets, brocade love seats, and all the amenities, like room service or the hotel restaurant. Norfolk really has a lot of treats and shouldn’t be overlooked. The MacArthur Memorial is a must-see, along with Harbour Park. Those two are a great mix of nature and architecture. A terrific place to rest your head is atAloft Chesapeake, a charming hotel that’s loft inspired and pet friendly. Share a meal in the café and an exercise session in the fitness room together. I’m a regular writer for Hipmunk. Check out my other articles for them on this blog. Written in cooperation with Hipmunk. 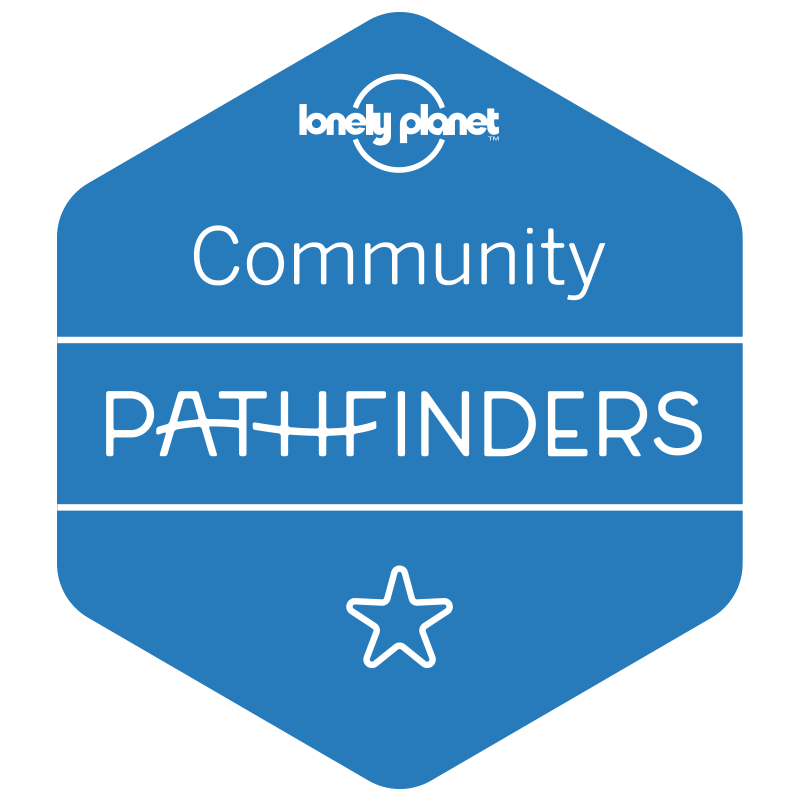 Originally published on Apri 12, 2016 by The Hipmunk on the Tailwind Blog. Cuba currently uses two types of currency: the CUC, which is designated primarily for tourists, and the CUP (the peso national), which is civilians’ primary currency. (The government has announced plans to eliminate the dual currency system, but has yet to do so.) For the most part, tourists will be dealing in CUCs, but budget-friendly travelers may want to keep a few CUPs on hand (more on that later). In either case, it’s smart to exchange your money before arriving in Cuba—otherwise you’ll incur a10% penalty to exchange dollars to CUCs. Similarly, avoid using credit cards whenever possible, as fees are quite steep. written in cooperation with Hipmunks Boutique Hotels Campaign. Washington State is one of the prettiest areas of the US. Blessed with mountain ranges, dramatic coastlines, and amazing food and wine, this paradise will charm even the most traveled guests. 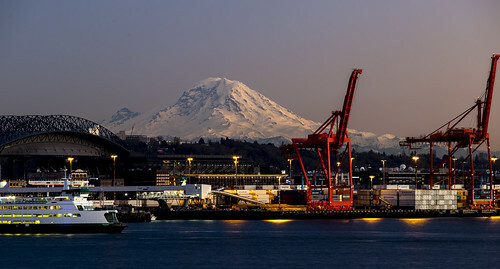 Seattle, otherwise known as the Emerald City, shines over Puget Sound, offering big-city entertainment with Pacific Northwest charm. Further afield, Spokane and the Washington countryside offer up their own rewards. If you’re heading to the city to attend a game at the University of Washington, or simply looking to be near downtown, check out the Watertown Hotel- A Piece of Pineapple Hospitality. This chain of hotel prides itself on impeccable service (hence the Pineapple Hospitality moniker). All guest rooms include a fridge, microwave, and Tommy Bahama amenities to complete the feel of heading to the islands. The hotel offers free Wi-Fi, free parking, and complimentary bikes, and pets are allowed, making it a family-friendly vacation. Inn at the Market has long been considered one of THE places to stay for a splurge trip to Seattle. 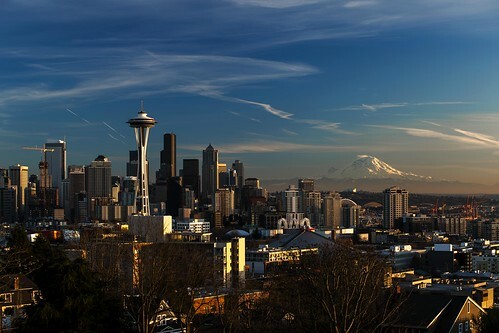 Located directly across the street from Pike Place Market, the Inn at the Market offers an ideal location, amazing views of the Sound, and shopping and dining options galore. Rooms are deluxe, featuring custom linens, designer toiletries, and luxurious robes, all coupled with beautiful bay and city views. There’s simply no better location in Seattle to be close to the action. 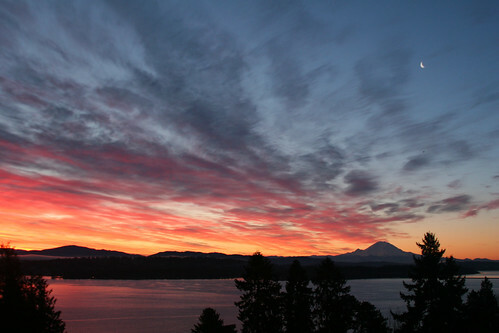 Perhaps you seek lodging that is convenient to all that Seattle has to offer, but with a romantic country setting. If so, look no further than Cedarbrook Lodge. Although situated near the SeaTac airport, Cedarbrook oozes country charm–all while being close to downtown. Set in 18 acres of wetlands, the lodge offers free Wi-Fi and free parking, and even your furry friends can join you. Rooms feature down comforters and fine toiletries, and a fitness center and spa services are available. One of the most popular areas in the entire Pacific Northwest is the Columbia Gorge. Stretching the full length of the border between Oregon and Washington, this scenic waterway has been a means of transport since the days of Lewis & Clark. 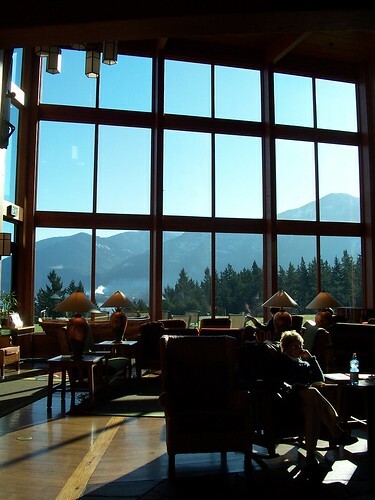 The Skamania Lodge- Destination Hotels & Resorts is just that: a destination all on its own. The lovely rooms feature free Wi-Fi, daily newspapers, and comfortable accommodations, but the true draw of this property are the amenities. For the active traveler, there’s zip-lining, hiking, tennis, basketball, volleyball, and pools. For anyone looking for more leisurely pursuits, the lodge offers an extensive library, sauna, board games, and on-site spa services. In addition, there are three restaurants and golf at the property. On the East side of the state, Spokane offers a rich array of cultural and outdoor activities, all with small-city friendliness. The Doubletree Hotel by Hilton Spokane City Center offers a prime location, while the comfortable rooms feature free Wi-Fi, premium cable, and coffee and tea service. Located at the Spokane riverfront, guests can enjoy virtually anything in the nearby neighborhoods or stay in and take advantage of the hotel pool, fitness center, and restaurants. No matter what part of Washington attracts you, Hipmunk will help you find the best accommodations for all of your needs. The Twin Cities is known for being the center of Minnesota’s 10,000 lakes, but also for its shopping. 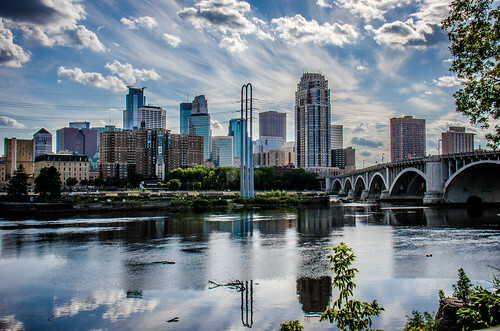 Whether you are headed for the various outdoor activities or looking to shop till you drop at the enormous Mall of America, Minnesota is for you! 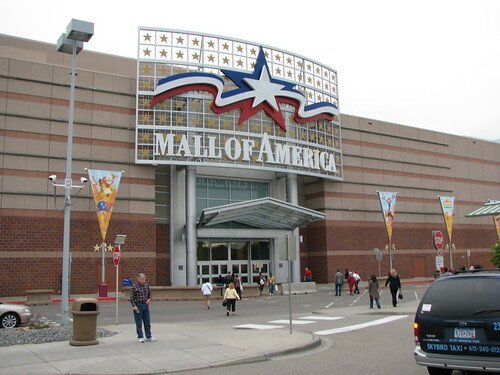 While people may head to Bloomington, Minnesota, for many reasons, one BIG reason is for shopping and entertainment at the Mall of the America. If that is your plan, one great hotel option is the La Quinta Inn & Suites Minneapolis-Bloomington West. Floor-to-ceiling windows accent the view, while the comfortable rooms feature contemporary furniture, and modern amenities abound. La Quinta is pet-friendly and offers free Wi-Fi, free parking, and a delicious complimentary breakfast daily. With an indoor pool, spa and sauna, you can rest your tired muscles after a long day at the mall. For those interested in spending their dollars on shopping and not accommodations, Northwood Inn & Suites offers comfortable rooms, right in the heart of the action. In-room refrigerators and microwaves stretch your dollar even further to enable you to enjoy the Sea Life aquarium or National Wildlife Refuge. With free parking, free internet, and a business center, the Northwood makes for an affordable getaway. If luxurious surroundings in the heart of the city is on the agenda, look no further than Loews Minneapolis Hotel. This hotel’s chic, modern rooms feature in-room Keurig coffee makers, complimentary daily newspapers, and fully stocked mini-bars. Limestone bathrooms offer designer toiletries, and pets are even welcome! The hotel offers three on-site restaurants and a full spa, and concierge services complete the feeling of total luxury. In addition, the ideal location, right in the heart of the city, puts dining and entertainment right at your doorstep. Perhaps shopping isn’t your thing or you had your shot at the Mall and want to hit the water. 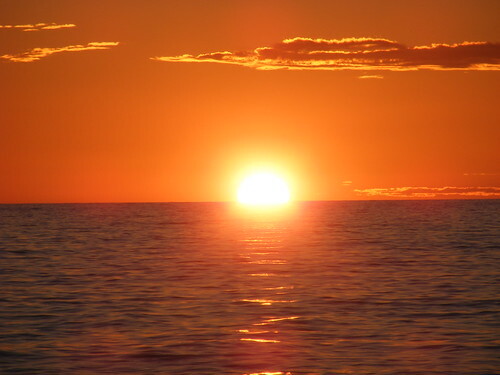 Look no further than the Holiday Inn & Suites Duluth. Set right in downtown Duluth, access to Lake Superior is a breeze. Lake Superior Zoo, Canal Park, and Glensheen Mansion are all in close proximity. The hotel offers free parking, free Wi-Fi, two pools, and an on-site restaurant if you are tired at the end of a long day of sightseeing. Guest rooms have comfortable beds and complimentary toiletries, all in a lovely setting. Whether shopping, city nightlife, or the lake is calling you, Hipmunk offers the right hotel choice. Written in cooperation with the Hipmunk. Originally published on the Tailwind Blog on March 30, 2016, by The Hipmunk. So you’ve decided to spend your precious vacation time at raves and EDM festivals. You are undoubtedly in for a blast of epic proportions. Still, it’ll be helpful to employ a few strategies in advance of your trip in order to ensure that things go smoothly—i.e. sans epic meltdowns, lost friends, or bodily discomfort. Whether you’re heading to Electric Daisy Carnival in Tokyo or Electric Zoo in NYC, here’s how to prep for the ultimate EDM vacation so that you can enjoy it drama-free. 1. Read up on the venue in advance. Once you’ve purchased tickets to a festival or rave, check out the venue’s website to learn if any items are prohibited from the grounds as well as what amenities will be on offer. (For example, some festivals have started going “cashless”—meaning festival goers can load money onto a wristband and leave the credit cards at home.) While you’re at it, print out the show lineup and a map of the festival grounds so you canplan your route in advance. EDM festivals involve lots of dancing and require being on your feet all day. Do your body a favor and pack layers that are comfortable, breathable, and appropriate for the weather. Even if the day starts out warm, it’s a good idea to bring along a hoodie or light jacket in case the night turns cool. If you have room in your backpack or fanny pack, it’s also a good idea to bring an extra pair of socks in case yours get wet or dirty during the show. Perhaps most importantly? Remember to wear comfortable footwear. 3. Eat and drink well. Dancing for hours under the beating sun—it’s a blast, but it’s also tough on your body. Give your body the best chance at feeling okay by the end of the night by eating a nutritious meal before raves, packing healthy snacks, and staying hydrated while you dance the night away. 4. Bring the right toiletries. While you simply won’t be able to maintain everyday hygiene at a show or festival, you can approximate cleanliness with a few key toiletries. Consider packing baby wipesfor tackling grime on your neck, armpits, arms, and feet in addition to dry shampoo, sunblock (an absolute must for summer shows), and hand sanitizer for post-porta-potty cleanup. If you’ll be camping at a festival, pay-per-use showers may be available—bring along flip flops, a bathing suit, and cash if you want to take advantage of these facilities. Also be sure to bring your standard toiletries such as toothpaste, toothbrush, soap, deodorant, etc. And don’t forget to pack a basic first aid kit—stashing one of these in your pack can save many a headache (literally) in the event of minor cuts and bruises. Once night falls, a headlamp is tremendously useful if you drop something on the grass or need to review a festival map in the dark. Sunglasses will help protect your eyes from summer rays or the flashing lights that are common during nighttime raves. Ear plugs will help protect your hearing so you can enjoy EDM for years into the future. Plastic trash bags can serve as a poncho, a seat, or protection for your belongings in the case of rain. 6. Make sure your phone has juice. Before heading to a rave, make sure your phone is fully charged so you can take pictures and stay in touch with your group in case you get separated. It’s a good idea to put your phone on airplane mode while you’re at the show in order to conserve its battery. If the venue offers a charging station, then bring along your charger. You could also opt to bring an extra battery. Although it’s impossible to guarantee with 100% certainty that your stuff won’t get lost or stolen at a rave, a little vigilance can go a long way. Some festivals offer rental lockers, which can be a great idea if you’re willing to pony up the cash. If you want to keep your belongings with you, you can help secure your things by hiding valuables in unappealing packaging (such as a cleaned-out sunscreen bottle), keeping your items on your body at all times (i.e. dancing while wearing your backpack, fanny pack, or Camelbak), and making a pact with your friends to help look out for each other’s stuff. 8. Coordinate with your group. Select a designated driver when applicable. If you’re going to a festival where multiple artists will be performing, reach a consensus regarding which shows you’ll all see together and when you might split up. Write your friends’ numbers down on a piece of paper and keep it with you at all times (in case your phone dies). If you’re up for it, choose an identifier that can help you all spot each other in a large crowd—for example, you could all wear matching T-shirts or bring along a flag or a balloon tied to a pole so that people can find the group again when returning from food or bathroom runs. Note where you all parked, where the bus station is, or where your taxi will pick you up (depending on your chosen mode of transportation). This is especially important for festivals that are held in remote areas where it’s easy to get lost. Select a meet-up spot for the group so that if anyone gets separated, you all know where to find each other at the end of the night. A little advance planning, packing some key toiletries and accessories, and coordinating with your group both ahead of time and at the rave will help ensure that your EDM vacation goes off without a hitch. Written in cooperation with Hipmunk. Originally published on June 15, 2016 by Becky, at Project Domestication. Arizona has long been a winter escape for snowbirds. What you might not realize, though, is that this Southwestern state has plenty to offer all year round. Take a look at some of Arizona’s best destinations and top places to stay. 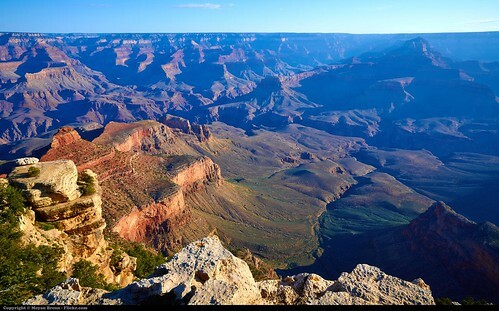 Arizona’s most majestic wonder has to be the Grand Canyon. One of the largest of its kind in the world, the Grand Canyon has drawn visitors for decades. If a day trip isn’t enough time for you to enjoy this mammoth wonder, check out the Best Western Premier Grand Canyon Squire Inn. Located a short distance from the park, the hotel is an affordable option in what can be a pricey area. The resort features free parking and Wi-Fi, as well as an outdoor pool, a fitness center, a bowling center, a game room, a sports bar, a coffee shop, and a restaurant. It’s also ideally located across the street from the popular Big E Steakhouse and Saloon. Rooms are comfortable and appointed with luxury linens, coffee makers, microwaves, refrigerators, and deluxe bathrooms. Whether you’re going to Phoenix for work or pleasure, Hipmunk offers the right hotel option for you. If a vacation is on the agenda, choose the Royal Palms Resort and Spa – Destination Hotels & Resorts. Everyone in the family will find a favorite feature, like the outdoor pool, the full-service spa, the bicycle rentals, or the luxurious rooms. This resort offers a few rare amenities, such as makeup mirrors and robes, to create a spa-like experience. 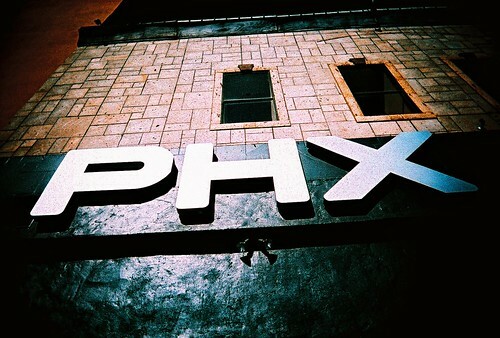 For a central location and excellent amenities, the Hyatt Regency Phoenix is a wonderful choice. For business travelers, the hotel offers up work stations and Wi-Fi, and there are meeting rooms and catering available for events. The rooms feature a mini-fridge and coffee maker to get your day started right, while the restaurant, pool, and fitness center will keep you on schedule. The property also has an on-site Einstein Bagels. 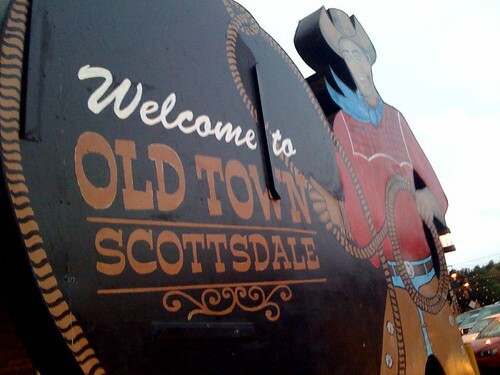 While Phoenix is the transportation hub of the area, Scottsdale is its upscale neighbor. Known for its spas, golf courses, and fabulous desert landscapes, Scottsdale has had a loyal tourist base for a very long time. If you’re searching for a sun-soaked getaway with easy access to championship golf courses and great hiking areas, search no further than the Omni Scottsdale Resort & Spa at Montelucia. The lovely rooms feature all of the usual comforts, guests come here for the golf, the hiking, and the spa services, all set against the dramatic desert landscape. After playing 18 holes or taking an early morning hike, lounge by one of the three pools or enjoy a relaxing massage. If you dream of a morning of golf and an afternoon in the pool, all with a view of the mountains, the Scottsdale Marriott at McDowell Mountains is for you. The hotel’s signature Revive bedding and designer toiletries will keep you rested so that you can spend your days exploring the natural beauty of the desert. A mere 10 miles from Old Towne Scottsdale, the Scottsdale Marriott offers a fantastic location, combined with the peace and quiet of the country. No matter which part of Arizona calls out to you, Hipmunk offers the right hotel choices for you. Written in cooperation with Hipmunk’s Tailwind blog. Originally published by The Hipmunk on April 13,2016. Written in cooperation with Hipmunk. Originally published by Michael Hodson of GoSeeWrite.